It is in the majestic river that you will have some of the best tours in the world. The cruising companies that operate tours here offer 5-star facilities in their cruisers and boast world class guides. Amazingly, along the river, there are more than 35 cities that open to the tourists for on-shore excursions. Among the most popular tourist cities along the river include; Beijing, Xian, Chongqing, Yichang, Wuhan and Shanghai. 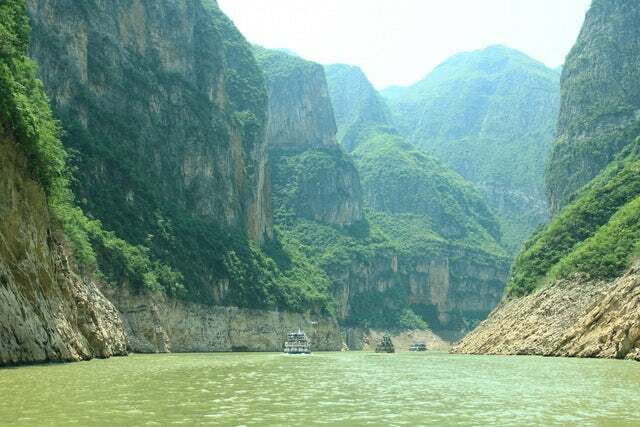 The Yangtze River is the third longest river in the world after River Nile, River Mississippi in that order. It wades through the chines heartland from the Qinghai Tibetan Plateau through south west and central china and drains into the East China Sea in Shanghai. The river flows a whopping 6,418 kilometers and drains a fifth of all Chinese waters. Its basin is also home to a third of China's 1.4 billion people and contributes about 20% of China's GDP. It has been used for irrigation, sanitation, boundary marking, war, and industry for thousands of years by the Chinese people. There is so much to see and do. Below are some of the cities and sites you can visit. It is also called a mountain city or a fog city due to its surrounding scenic mountains and the fog that every now and then hovers over it. It is also home to the Three Gorges Dam, the largest hydroelectric power station in the world. It is also known as the Ghost City. It was built by the Han Dynasty and is the best place to experience the civilization of China during the dynasty. It also boasts some remnants of the artifacts that were accumulated by the Han Dynasty. This is a 12 story wooden pagoda that was built by the famous Qing Dynasty. It is a good place to take photos and sample some of the best food in China. This is a city along the Yangtze River that is home to the Three Gorges Museum. The museum has very beautiful Chinese artifacts. It is also a good place to learn some little history about the Chinese. You can also shop for souvenir in the busy markets of Wanxian. Other popular things to see along the Yangtze River include; the shennong stream and its Tujin minority people, Shashi, a city built in 689 BC, the Wuhan's 2,400 years old tomb that was excavated and a lot of ancient musical instruments found, and the Goddess Peak, a misty shrouded series of cliffs. A Chinese Cruise on the Yangtze River is one of the things you need to add to your bucket list. With the world quickly changing to look east, China is poised to become one of the top most visited tourist destinations if it is not already.